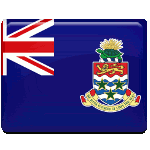 People of the Cayman Islands annually celebrate Remembrance Day on the second Monday in November. This public holiday originates from a British tradition. The countries of the British Commonwealth observed Remembrance Day for the first time in 1919 as Armistice Day. This holiday commemorated the end of World War I on November 11, 1918. Till 1930 Armistice Day was observed on the Monday of the week closest to November 11, when the House of Commons passed the bill changing the name of the day to Remembrance Day and fixing its date to November 11. The Cayman Islands didn't fix the day of the observance and it's annually falls on the second Monday in November. According to the British tradition, people pay tribute to the veterans, who defended their nation during the war. Observation of Remembrance Day includes a parade and a ceremony of wreath laying. This ceremony is presided by Governor and Premier of the Cayman Islands and it's attended by other officials, veterans, representatives of veterans organizations and the general public.